Well the snow has just kept bucketing down today! After the 360niseko snow station was cleared at 7:00 as of 15:30 we have had another 11cm come down. Now, many of you may have noticed that the back drop for this years snow station has changed..well the snow station is now in a new location between Hirafu and Higashiyama. The altitude is similar to the last position in lower Hirafu village but please be aware that this new reading is NOT in Hirafu village but a few kilometers down the road. There is always a deviation how and where the snow falls – the area is famous for micro climates and weather patterns. Some days there may be 10cm in Annupuri and 25cm in Hanazono…some days everywhere get’s 30cm!! 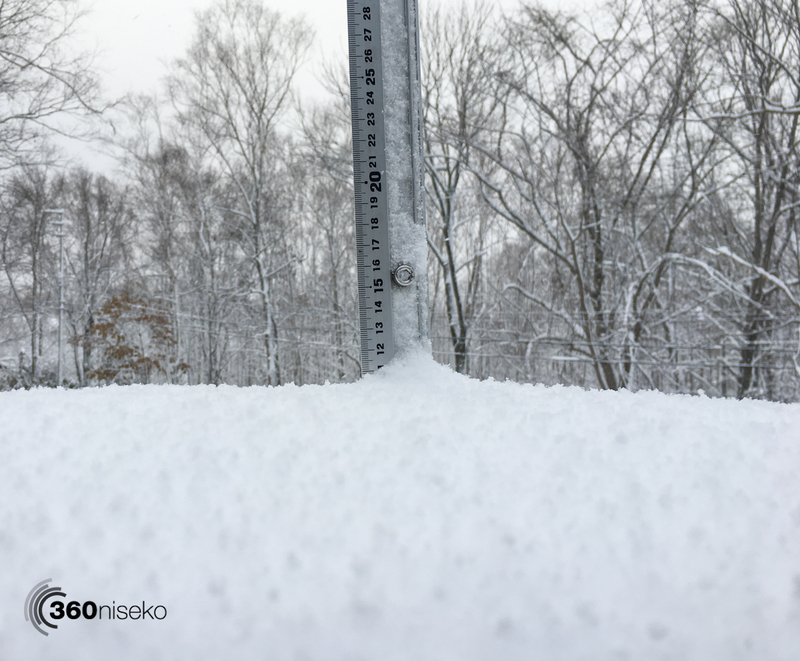 Altitude plays a big part as well so please don’t take the 360niseko snow readings as being definitive – the readings are and always have been what is outside our front door on the ground. Before we go snowed in today made it to Kutchan and grabbed a few essentials from HOMAC!! This is a video of that epic mission….looking forward to first tracks!! 360niseko vBLOG 002, 9 November 2016 from 360niseko on Vimeo. Mate, just as long as i see the snow covering up more and more of the numbers on the tape measure i am happy. Keep up the great work. 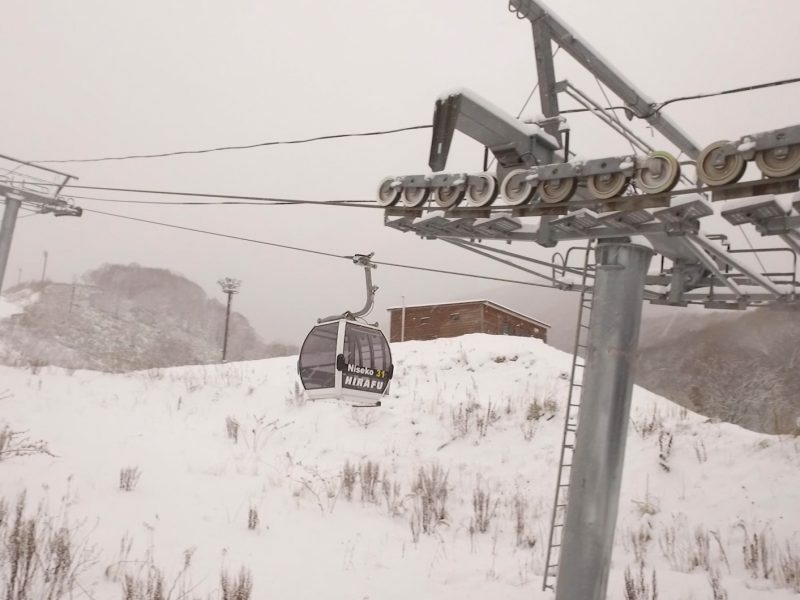 We have meet briefly in the gondola going up the mountain in March. I am back in January from the Gold Coast to do it all again. Thanks for the feedback! Hope to bump into you again this season. Cheers! !